A Wise Woman Builds Her Home: Feminine Favorites! Are you enjoying the long days of summer? We definitely are enjoying all the relaxing and fun that comes along with it. There has also been a lot of events and parties that we have been attending and I find that I am constantly trying to find something decent to wear. It is called the Sarina Striped Maxi dress by White Plum. The detail is so pretty and feminine! 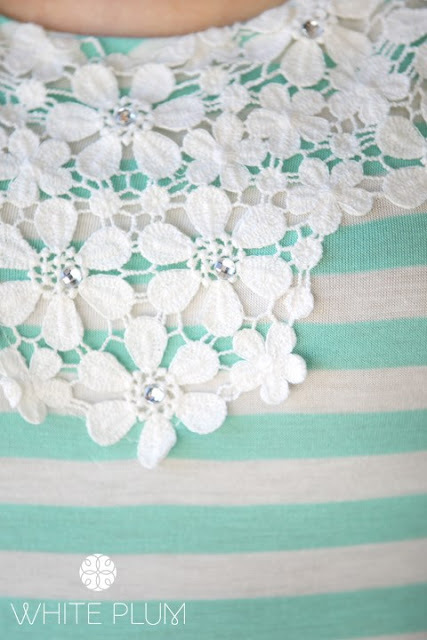 I am glad to see so many vintage styles coming back into stores that have lace on them. I love that my daughters have more prettier options when they are out shopping. And this dress comes in two colors---pink and mint. 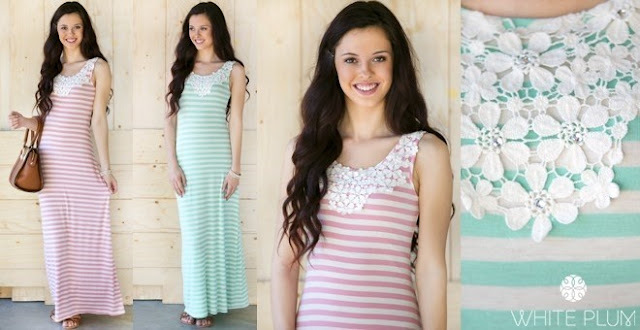 "Slip into comfort this season with the Sarina Striped Maxi Dress! Built with a soft fabric and feminine emroidery, this dress will be your new go-to piece. Simply slip on a denim jacket and wedges for a fashion style statement! " You can find this at Jane right now on sale for just $8.99 and seventy five percent off! This is a great deal but it won't last long--- so don't miss this awesome deal!